The AudioCodes MP1288-216S-2AC is a best-of-breed high-density analog media gateway. It offers a cost-effective solution for organizations transitioning to all-IP that need to integrate large numbers of analog devices (such as legacy phones, fax machines and modems) into their new infrastructure. The MediaPack 1288 enables these organisations to protect the investment made in their analog devices and cabling while enjoying the functional and cost-benefit of the move to an all-IP infrastructure. Fully interoperable with leading softswitches, unified communications (UC) servers and SIP proxies, the MediaPack 1288 is ideal for service providers, hosted UC operators, the hospitality sector and large enterprise campuses. 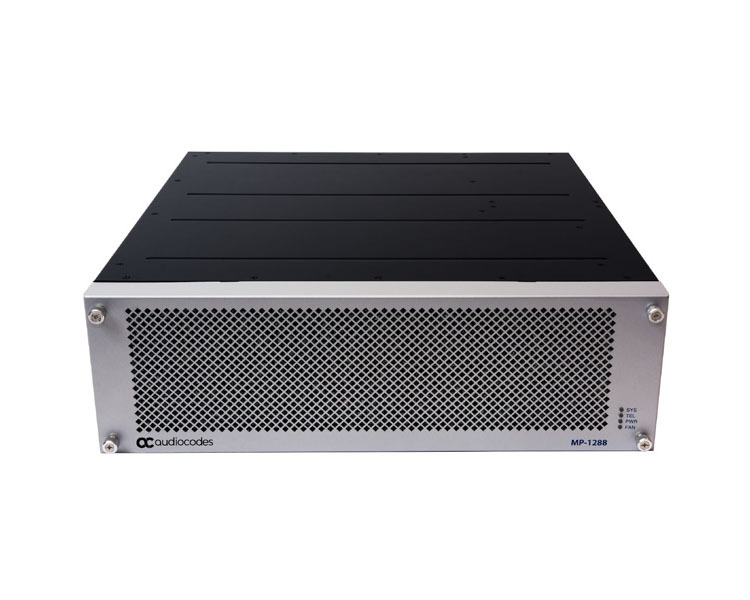 VoIPon - your AudioCodes MediaPack MP-1288 high density analog gateway with 216 FXS ports and dual AC power supply[MP1288-216S-2AC] distributor, supplier, reseller! Get all your wifi at VoIPon! If you would like to be notified when the"AudioCodes MediaPack MP-1288 high density analog gateway with 216 FXS ports and dual AC power supply" is re-stocked, please enter your contact details and we will notify you instantly.